You can save a lot of your time if you search and plan what activities and tours you could do during your holiday in Bali, by exploring the Things to Do in bali website and choose the activity you want. Just send your order to us and we'll pick you up at your hotel. If you can’t find what you are looking for, or need more information please feel free to ask us via the contact form, phone, or our live chat supports. "To keep the satisfaction of our customers, we only partner with a bona fide and quality company for each activity program in Bali"
which you can do during your holidays. 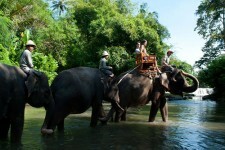 Elephant safari tour is one of the very popular adventure tours in Bali, which you will be invited to enjoy the beauty of panorama, animal encounter, and see traditional Balinese culture with elephant ride. here there are 2 options package tour. The first is elephant safari package tour that continued with zoo admission and animal encounters. And the second is the elephant safari tour that combined with watching elephant talent show. Rafting or also called white water rafting is a challenging and fun recreational activities using an inflatable raft to navigate the river, experience the thrill and excite you during activity. In Bali, white water rafting is one of the favorite recreational activity for domestic and international tourists. For the beginer level of bali rafting, Ayung River Rafting is a good place to try. 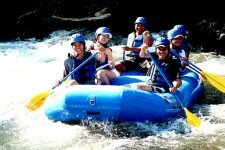 As for the more adventurous who want to feel more adrenaline, Bakas and Telaga waja River Rafting is the right choice. 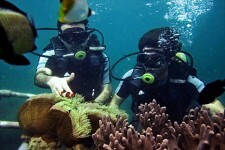 Other than is famous for the culture and unspoiled of natural beauty, Bali also has a natural beauty of the underwater and The diversity of marine life and dive sites is exceptional, you can enjoy it by doing the scuba diving or just snorkeling. get an experience where you can see a variety of underwater ecosystems, ranging from small fish, until the big fish such as stingrays, sharks and mola mola, and also the beauty of colorful corals. Experience the thrill and joy of interaction with friendly dolphins Bali, it's fun, educational and memorable, an unforgettable encounter of a lifetime! pat, interact and perform various trick and activities with our friendly and intelligent dolphins. You'll spend 40 minutes in our specially designed dolphin enclosure, where you'll have the chance to experience the thrill of up-close and personal contact through hugging, kissing and playing with a dolphins. 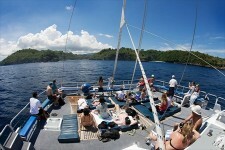 Inevitably, that Surfing in Bali is one of the reasons that make the tourists come to Bali. Bali has many surfing places that are very interesting for beginners up to international level. therefore a lot of local and international surfers come to tame the waves on the ocean bali. of the many surf spots that exist, we recommend following some of the best places: Kuta, padang-padang, and uluwatu. You can try Surfing in bali with board rental from US$ 9 , and $35 for lesson, and $60 for surfing trip/tour.